Indie Retro News: Crazy Music - A new C64 game by Hokuto Force will give you hair loss! 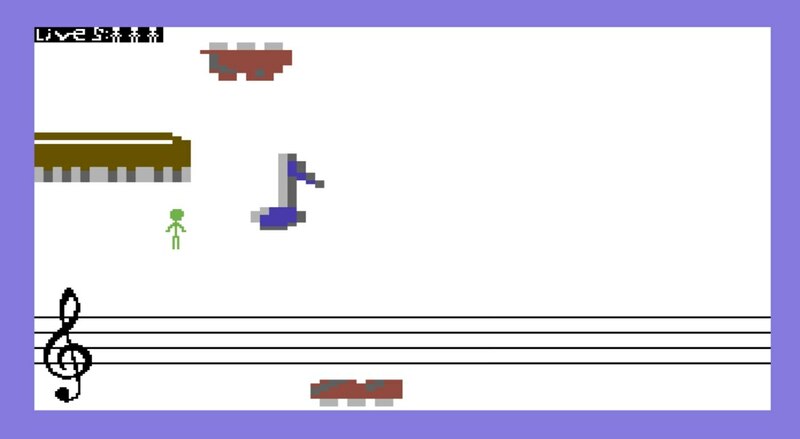 Crazy Music - A new C64 game by Hokuto Force will give you hair loss! Some more C64 games have appeared this week and the first one for mention is Digital Monastery's new C64 game, as a release by Hokuto Force; ' Crazy Music '. In this game you have been pulled into a crazed musical world that really doesn't like you for some reason. There are gnashing teeth, and flying pianos coming at you from all sides that really want to do you harm. Thankfully there are good things in this world as musical notes are there to help, collect enough of them and you'll finally be able to kill at least one of those menacing mouths and make the game that bit easier! I was able to have a short play through of this today and although the idea is *sound* I found it to be one of the most frustrating and punishing games I have played for many years. There's just way to much going on around you and it's just too difficult to keep up to avoid all the enemies and to actually even get a single note or two. Half the time you think you're in the safe zone, jump to collect a note and one of the many mouths erratically change direction and you end up eaten. 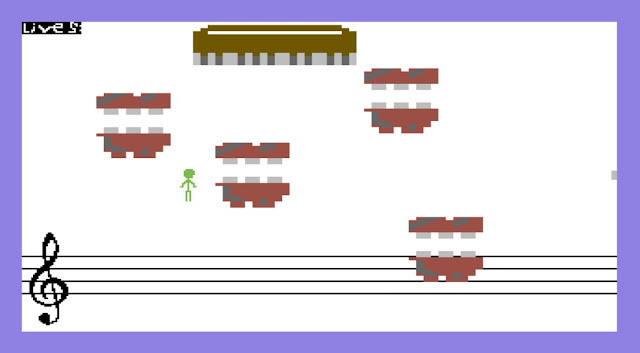 And that's not even mentioning the falling piano's which take up triple width of your own character. Don't get me wrong I really did try to like this game and see it as a unique C64 game worthy of a challenge, but as I said in the article topic, I ended up with hair loss as each strand was being pulled out in frustration. So sorry Hokuto Force, but this game just isn't for me even if I could cheat with unlimited lives.